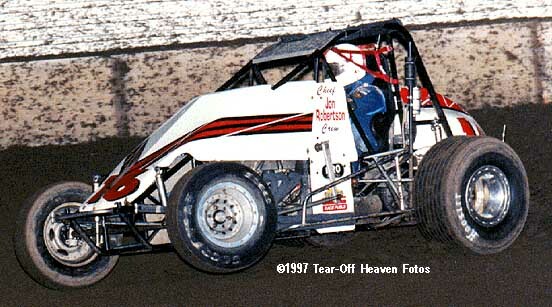 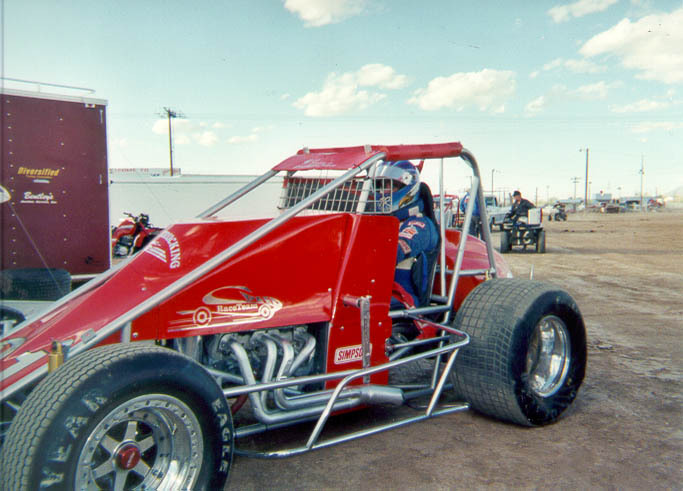 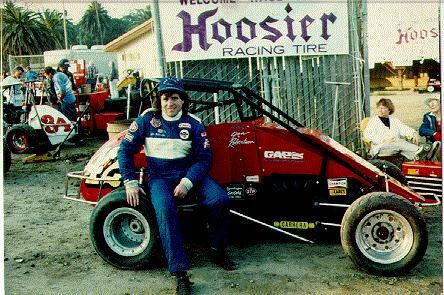 1993 USAC "Most Improved Driver"
Here's a few of theSCRA sprint cars the I've invested a good deal of my spare time in: #16 , #40 & #1st. 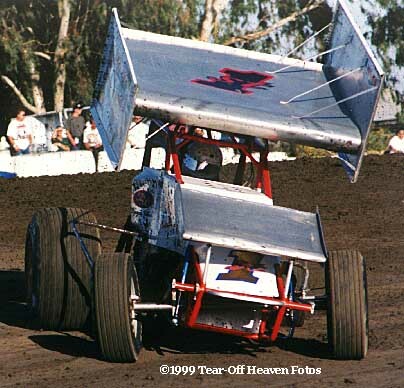 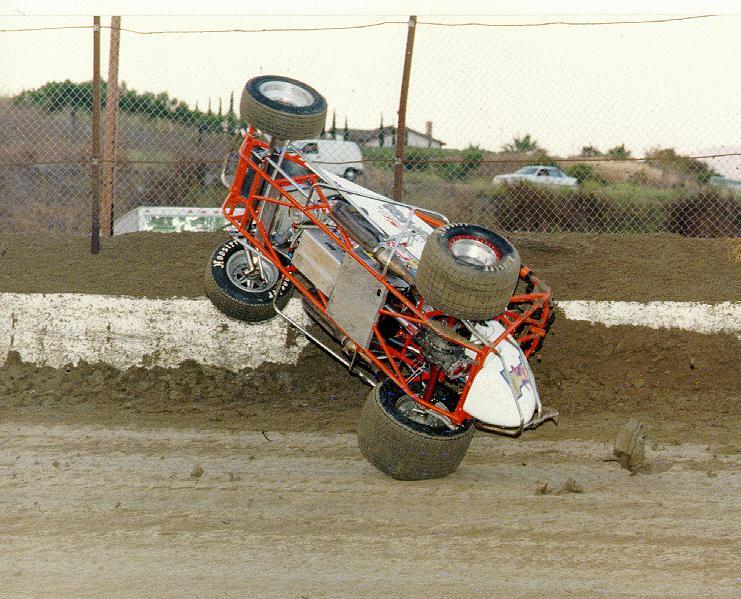 This photo of our misadventures from Santa Maria speedway showing the wrongside of the #1st car demonstrates one of the various methods used in testing roll cage strength..For a contrast, here's a picture of the #42 car going the appropriate direction. 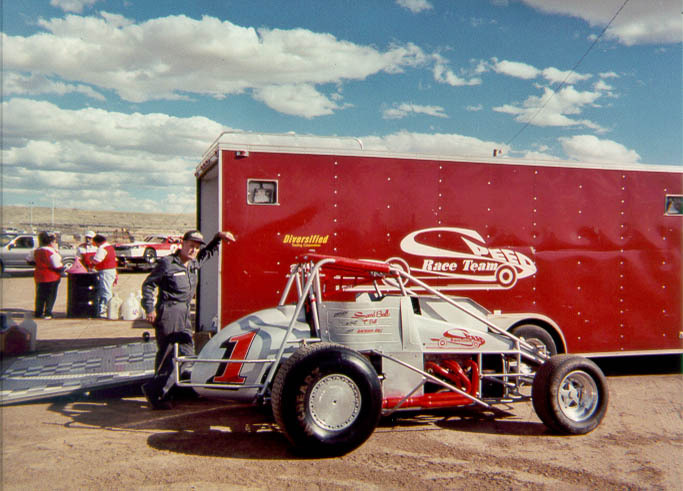 And finally a couple of pictures of the #42 car standing still at Ventura Raceway and Phoenix International Raceway . 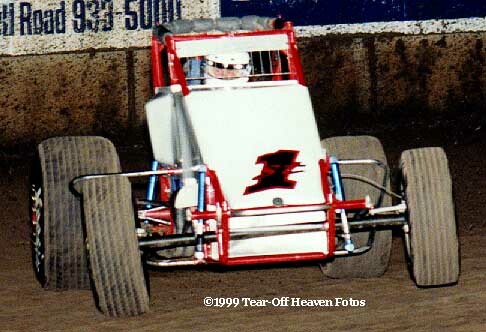 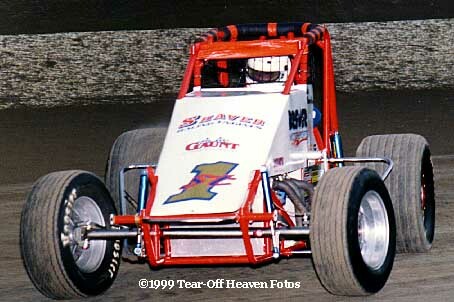 Here's a couple more pictures of the #1st car at Santa Maria and with this funny garage door like thing on it at Hanford . 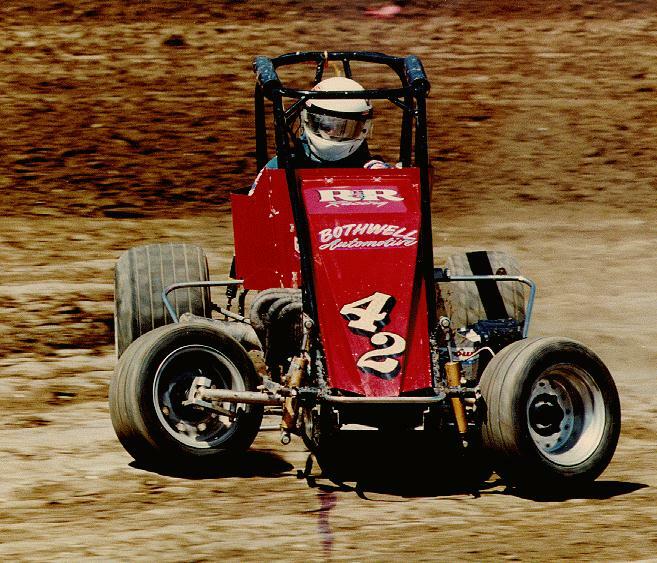 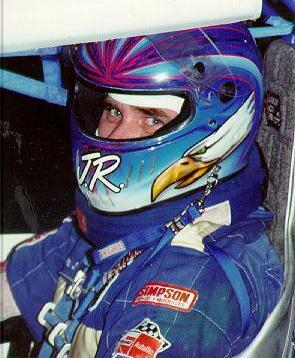 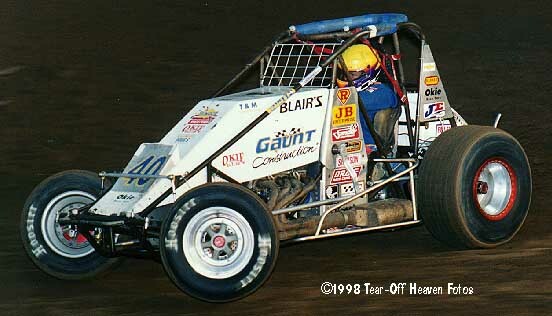 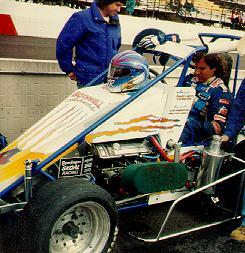 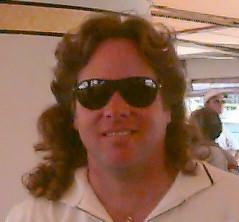 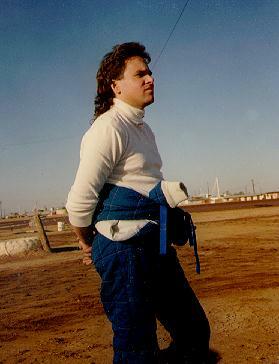 Here's some photos and the account of Bill Rose piloting the hastily resurrected #40 car at Ventura Raceway.